Getting Back To It... Again! Like the title says... getting back to it. Life gets in the way sometimes and it's nice to get the time to paint. 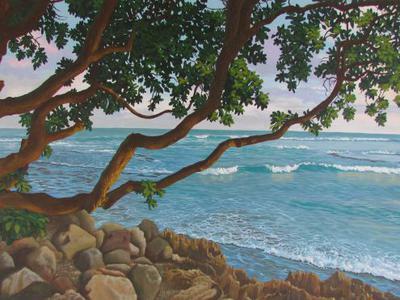 Here is a painting of a stretch in Hawaii that I took a reference pic of when we were there years ago. Learning all the time and Mark's teaching helps me along in the painting journey. Comments for Getting Back To It... Again!